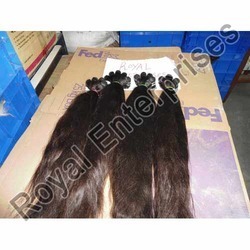 Exporter of a wide range of products which include double drawn hair, machine weft straight hair, straight virgin hair, 7 a quality indian human hair, human wavy hair and single drawn hair. 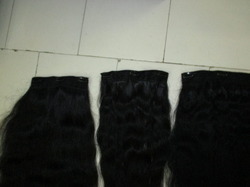 Our organization is highly appreciated by the clients for offering a wide range of Double Drawn Hair. With the help of this product, hair style can be changed and a different look can be provided. Owing to its versatility and natural look, this hair is widely demanded by the clients. Moreover, before the final delivery, these products are tested on various parameters to ensure their quality. 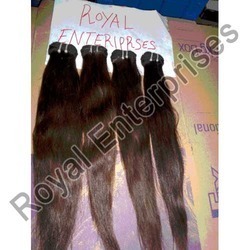 7 A Quality Indian Human Hair supplied by Royal Enterprises is highly demanded in many countries for their versatility & thick look. 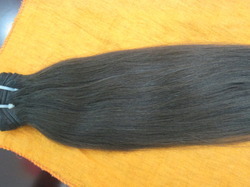 The texture of this product is uniquely fabricated and adaptable for wavy or straight look. 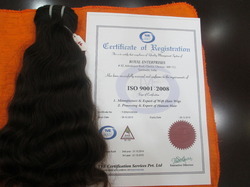 We have a team of experts, who checks & approves the quality of this hair after being handpicked from temples. 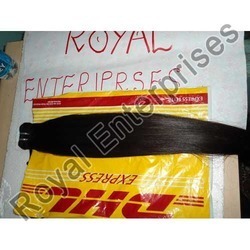 We assure 100% human hair of the finest quality that remains thick & naturally wavy even after wash. Indian Human Hair is ideal to make wigs, hair braiding, weavings & extensions. 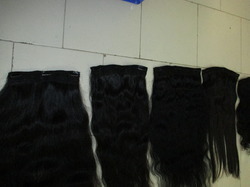 Our organization is highly appreciated by the clients for offering a wide range of Single Drawn Hair. With the help of this product, hair style can be changed and a different look can be provided. Owing to its versatility and natural look, this hair is widely demanded by the clients. Moreover, before the final delivery, these products are tested on various parameters to ensure their quality. 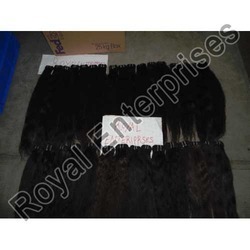 Our customers can avail from us an attractively designed collection of Human Hair. These products are processed using qualitative natural hair to remain in tandem with international standards and norms. We offer these products in different styles and lengths to meet the variegated requirements of clients. Moreover, the offered products are tested on various parameters so as to offer superior quality products to our clients. These products are processed using qualitative Indian Human Fashion hair to remain in tandem with international standards and norms. We offer these products in different styles and lengths to meet the variegated requirements of clients. Moreover, the offered products are tested on various parameters so as to offer superior quality products to our clients. 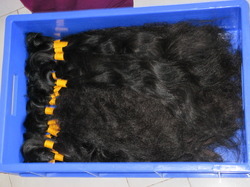 Our organization is highly appreciated by the clients for offering a wide range of Natural Color Hair. With the help of this product, hair style can be changed and a different look can be provided. Owing to its versatility and natural look, this hair is widely demanded by the clients. Moreover, before the final delivery, these products are tested on various parameters to ensure their quality. 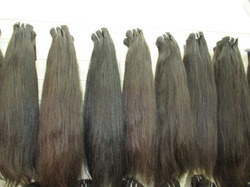 Looking for MACHINE WEFT STRAIGHT ?